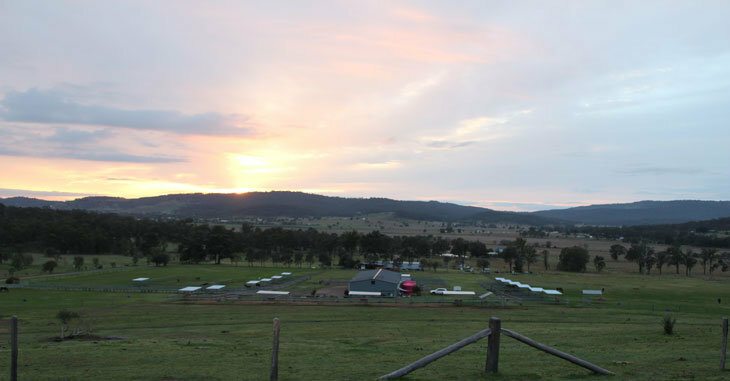 Exclusively Equine Breeding Centre has 30 purpose built post and rail cattle rail mare yards. 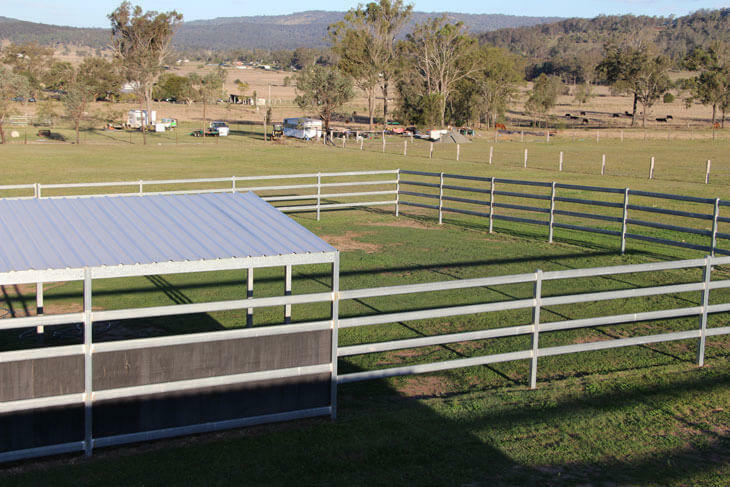 All Mare yards share a built in waterer and also share a 6mtrx3mtr shelter for shade. 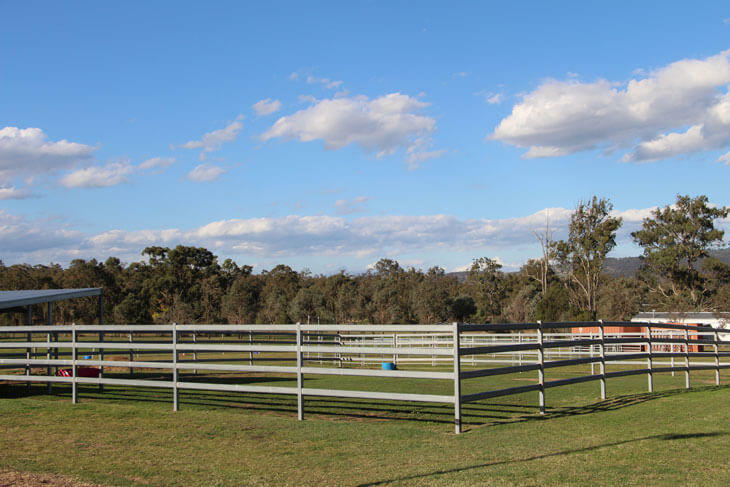 Exclusively Equine Breeding Centre has 3 purpose built post and rail cattle rail Stallion Yards. 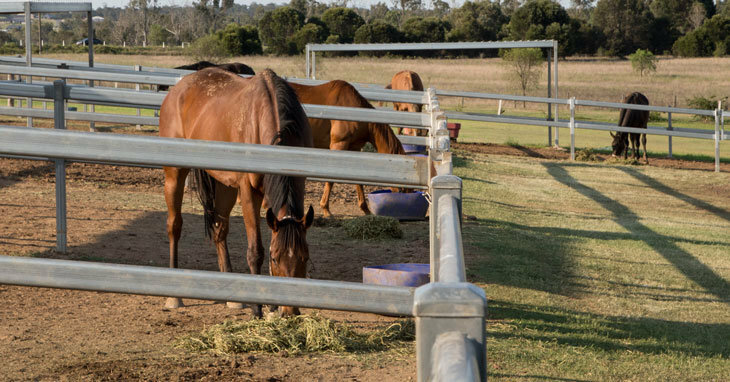 All Stallion yards have a built in waterer with a 6mtrx3mtr shelter. 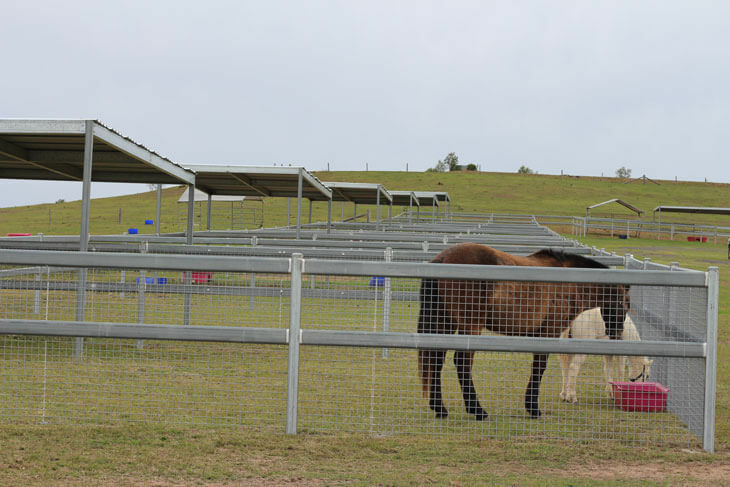 Exclusively Equine Breeding Centre has two separate Foal Down Yards. 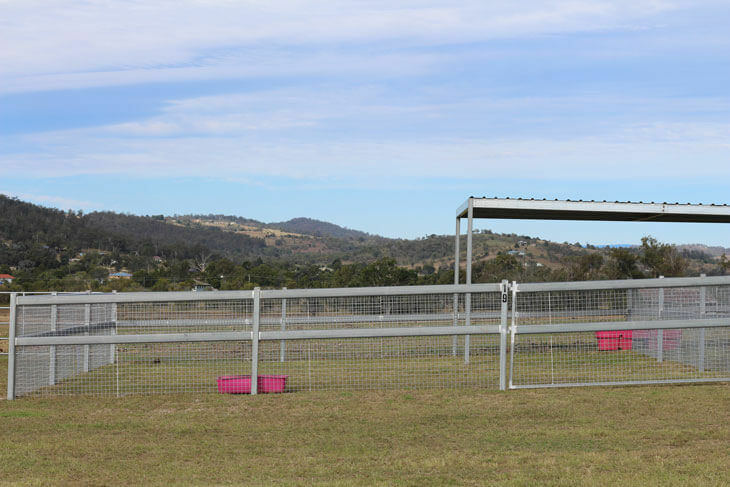 Both foal down yards have built in waterer’s with a 6mtrx3mtr shelter. 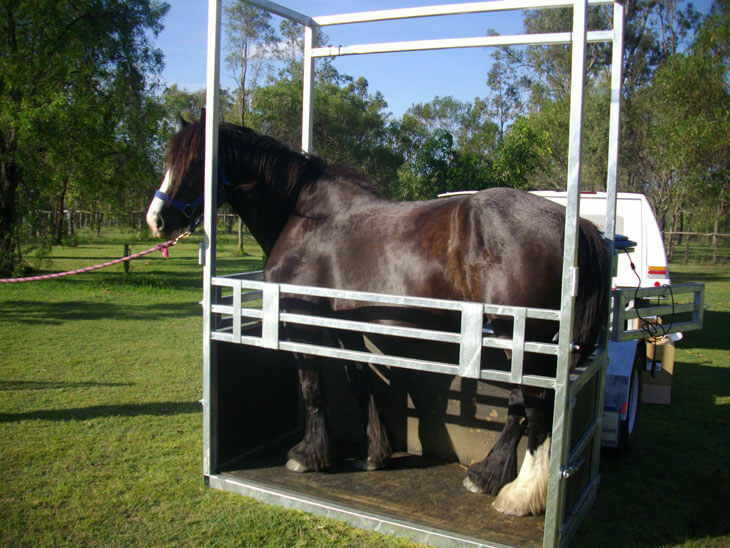 Exclusively Equine Breeding Centre utilises a Stallion Dummy to collect stallions for Artificial Insemination. 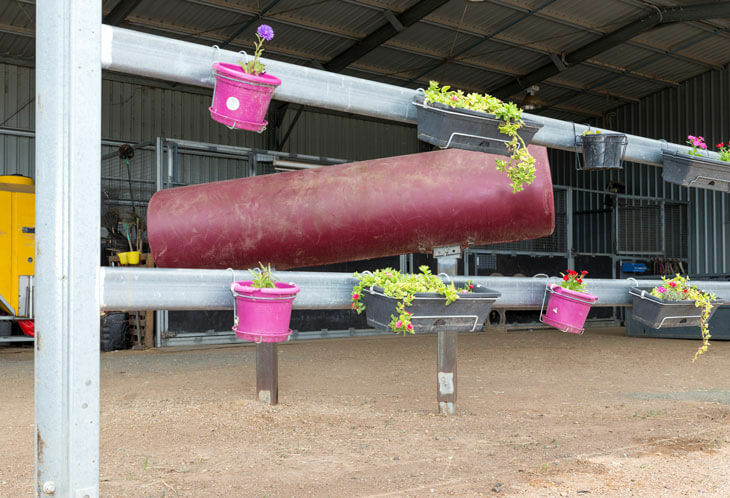 Exclusively Equine Breeding Centre utilises a purpose built Mare & Foal Crush. 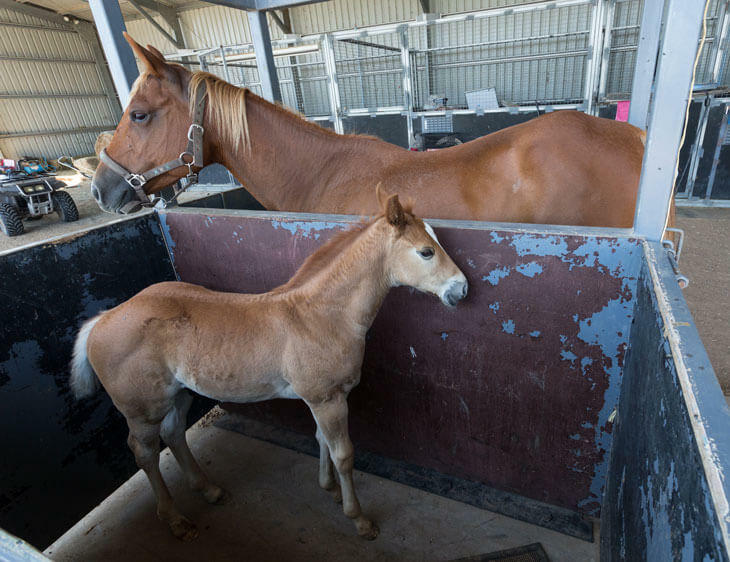 This ensures the foal is nice and safe whilst Mum is being scanned. 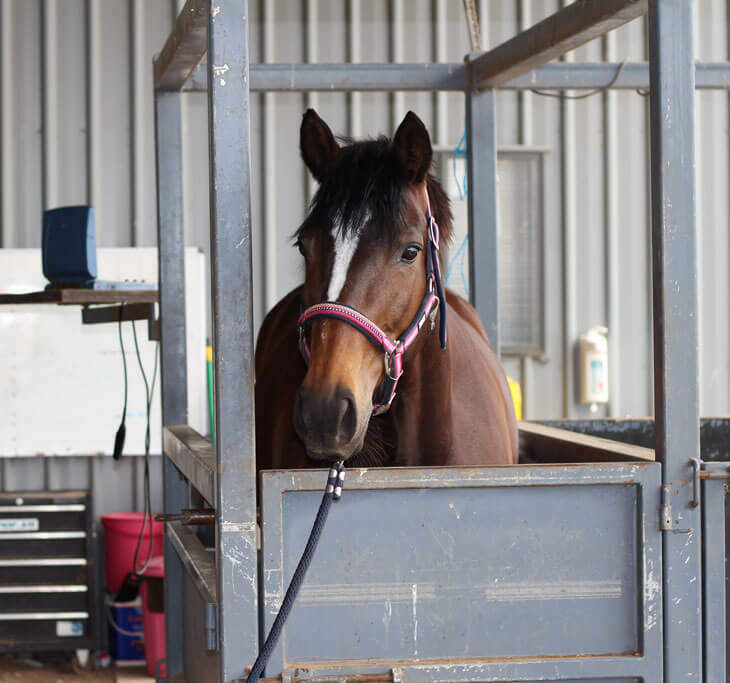 Exclusively Equine Veterinary Services has a purpose built mobile crush. WE perform a number of services at your property with the help of our portable crush. 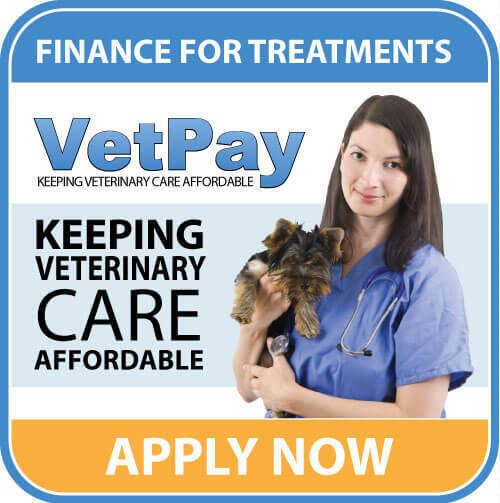 To find out more about our facilities, call us today on (07) 5411 4554 to speak with a qualified veterinarian.